We are living in an age of excess and indifference, of prosthetic augmentation and extended operational systems. The dead, the near dead, the undead and the yet to be born are existing simultaneously. This is the age of the cadaver, the comatose and the chimera. The cadaver can now be preserved indefinitely with plastination. The comatose body can be sustained on a life-support system. Cryogenically suspended bodies await possible reanimation. Chimera is the body that performs with mixed realities. A biological body, augmented with technology and telematically performing with virtual systems. The chimera is an alternate embodiment. Take this opportunity to participate in the 2nd edition of Image Radio ‚Äì a young festival for new ideas in digital culture, taking place in Eindhoven, Netherlands. The festival is also an experiment, critical reflection, and preview of how new media in public space impact our cultural, social and physical surroundings. The increase of display devices, data clouds, sensor networks, particularly in urban centers, provides a new medium. Public space becomes a playground in which dynamic and manipulative data influence our perception. 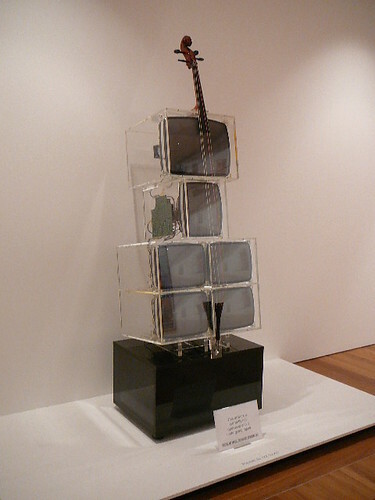 Potential applications are shown in experimental installations. Theory, discussion and exchange on these topics are facilitated in the seminar program and symposium. On October 10-11 2008, Bilkent University Department of Communication and Design, in cooperation with the Institute of Network Cultures, will organise the 3rd Video Vortex event in Ankara, Turkey. Video Vortex 3 Ankara Edition will feature a two-day international conference, evening program, live performances and new media art exhibition. 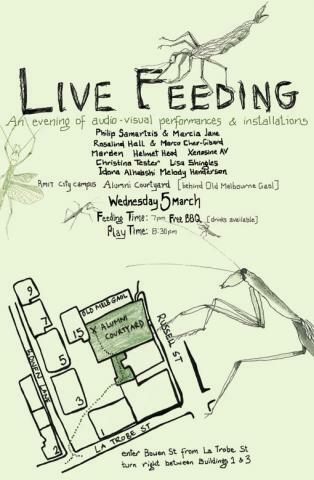 LIVE FEEDING is a one-night occurrence of audio-visual performance and installation under the stars. The Old Melbourne Gaol exercise yard will become a site of convergence for local AV practitioners and merry makers. To kick the evening off, we would like to invite you to play with our overhead projectors, get acquainted over drinks and enjoy a BBQ until the sun sets, when the performance and installation programs will come to life! 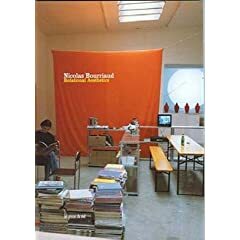 - this is a great collection of Nam June Paik's works and writings and includes some letters to John Cage. 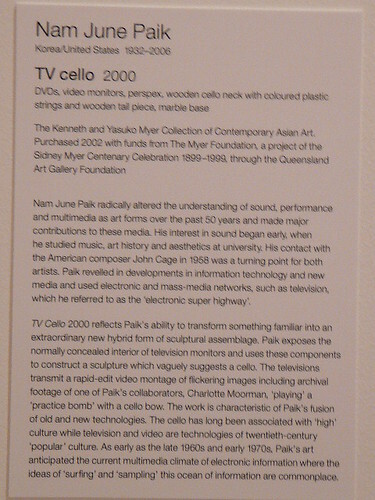 did I mention that Brisbane's new GOMA - Gallery of Modern Art, has one of his video pieces "TV Cello" on display. - I haven't started this one properly yet, but it looks like it'll be an interesting essay. 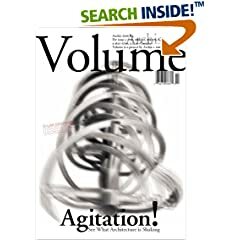 it's based on a collection of editorial entries from "Documents sur l'Art" magazine that were first published in 1992. - Justin Paton is speaking at the upcoming Auckland Writers and Readers Festival, and he's a NZ author so I thought I'd give it a try. I haven't started it yet though. 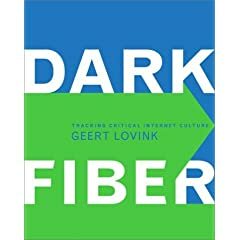 - I've read many of Geert Lovink's writings on various maillists and website publications such as Sarai Reader so I thought I'd take a read of his book on Internet Culture. - this wasn't from Parsons but I bought it last time I left Auckland and read most on the plane back to Sydney then finished it whilst I was there. amazing characters - they haunt you for a while afterwards. I still think of them now and then. a really simple story, about the lives of a couple of families in NZ. 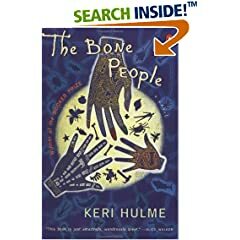 Keri Hume won the Booker Prize for this book in the early 90s and since I tend to enjoy reading Booker Prize winning books I thought I'd try an earlier one as I've mostly only read more recent winning titles. well worth the read! this one's a magazine, but it was priced like a book and has been capturing my attention as much as a book, so..
- it's an architecture magazine but includes articles about projects & urban issues from around the world as well as upcoming conferences and calls for works / request for comments about certain global issues. This workshop looks at new media practices in urban contexts. The introductory session will take place at SARAI/CSDS seminar room on Friday, November 17th 11.00-13.00/14.00-16.00. Second session on November 24th, same time.